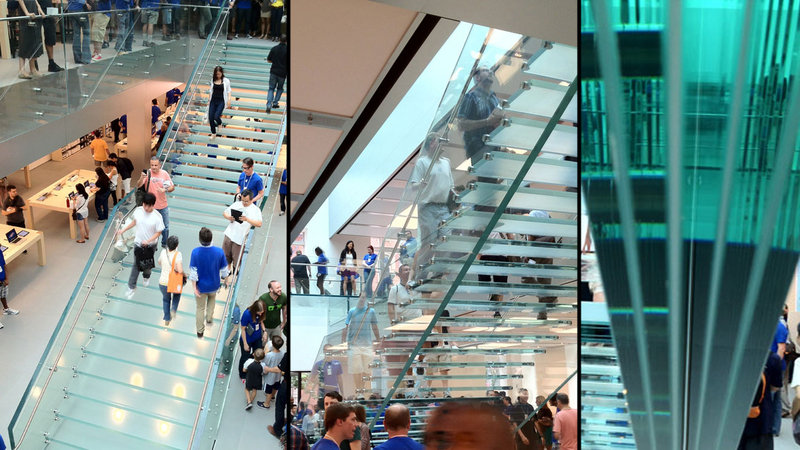 The SoHo Apple Store in New York City has just opened its doors after its recent renovation and Core 77 has noticed something amazing: the stunning new glass panels flanking its stairs. At more than nine metres long each, these things are impossibly huge and beautiful. We already know that Apple is obsessed with materials — especially glass — both for their products and their stores. The company is building another Apple Store that will be made almost entirely of glass, and it recently rebuilt the cube at the Fifth Avenue store with 10m long panels to make it almost seamless.